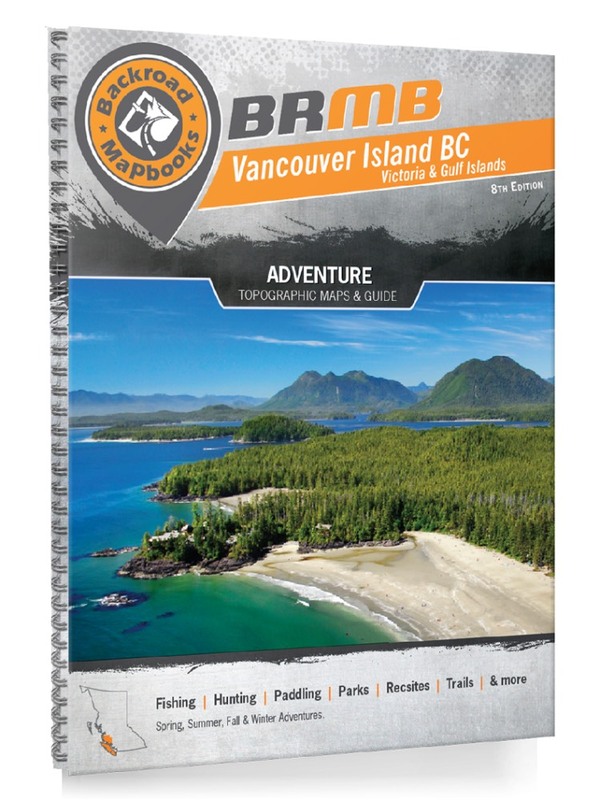 This recreational topographic Mapbook of Vancouver Island, British Columbia (BC) highlights all the logging and resource roads, hunting areas, fishing lakes & streams, campgrounds, paddling routes for canoeing & kayaking, backcountry campsites, recreation sites, wildlife viewing areas, motorized trails for ATVing & snowmobiling, hiking, mountain biking, backcountry skiing & more. Featuring 63 maps in total, this Mapbook covers 85,140 km2 (52,900 mi2). Maps 1-56 are 1:150,000 scale and maps 57-63 are 1:300,000 scale. Also included is an inset map of the Sayward Canoe Route. Special features include private land, labelled fish species, higher resolution Wildlife Management Units for hunters, updated cartographic symbols and countless new roads, trails and recreational Points of Interest. These maps cover Campbell River, Cape Scott, Carmanah Walbran Provincial Park, Cortes Island, Courtenay, Duncan, Gulf Islands, Gold River, Hot Springs Cove, Lake Cowichan, Lasqueti Island, Mount Washington, Nanaimo, Pacific Rim National Park, Parksville, Port Alberni, Port Hardy, Quadra Island, Qualicum Beach, Strathcona Provincial Park, Tofino, Ucluelet, Victoria and more!